If you are looking for a gift for someone who loves hops and lots of them, you've stumbled upon the perfect craft beer lover's collection. 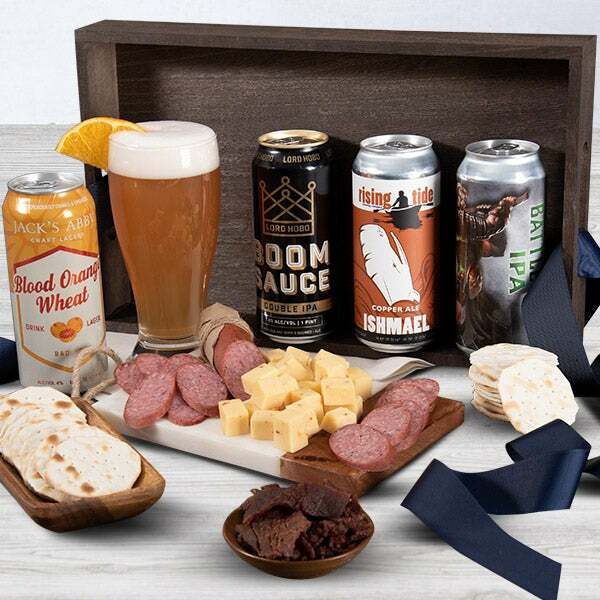 Each of the four beers featured in this gift crate represent unique brew styles. Especially interesting is the fruit forward German Radler, certain to be their new favorite! Accompanying these premium brews is teriyaki marinated beef jerky, crunchy munchie snack mix, cheese with a bit of heat and gourmet crackers to accompany them. A perfect gift for the recipient who is ready to kick back and enjoy! Teriyaki Beef Jerky by Country Archer - 1.5 oz. - Marinated with a blend of pineapple, garlic, ginger and pepper. Battle Axe IPA by Kelsen - 16 oz. - Void of the harsh bitterness found in many IPAs, this highly drinkable IPA has strong hop flavors and a fresh citrus aroma. Boom Sauce by Lord Hobo - 16 oz. - A New England style IPA with a creamy mouth feel and a soft, dry finish. Ishmael Copper Ale by Rising TIde - 16 oz. - An amber brew with malty flavor and medium body. Jacks Abby Blood Orange Wheat - 16oz. - A fruit forward, German-style Radler that will quickly become one of your favorites! Sea Salt & Cracked Peppercorn Water Crackers by Eleanor & Flynn - 4 oz. - Water crackers lightly dusted with sea salt and fresh black pepper. 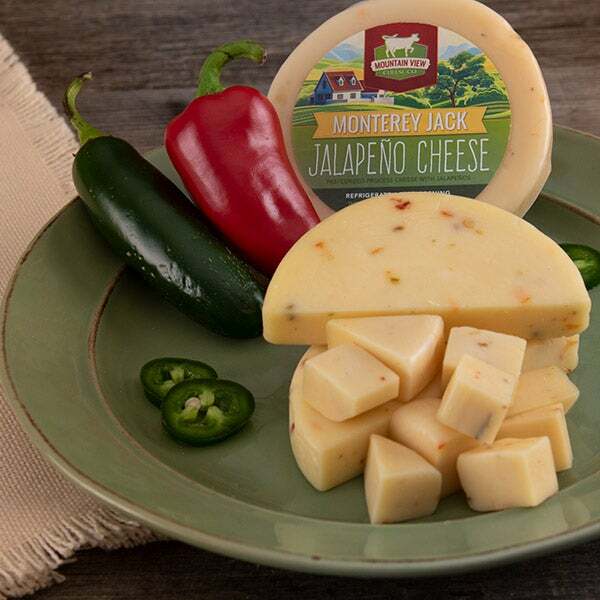 Monterey Jack Jalapeno Cheese by Mountain View Cheese Co. - 4 oz. - Creamy and rich artisan monterey jack blended with fiery bits of jalapeno. Chichester Mix by GourmetGiftBaskets.com - 5 oz. 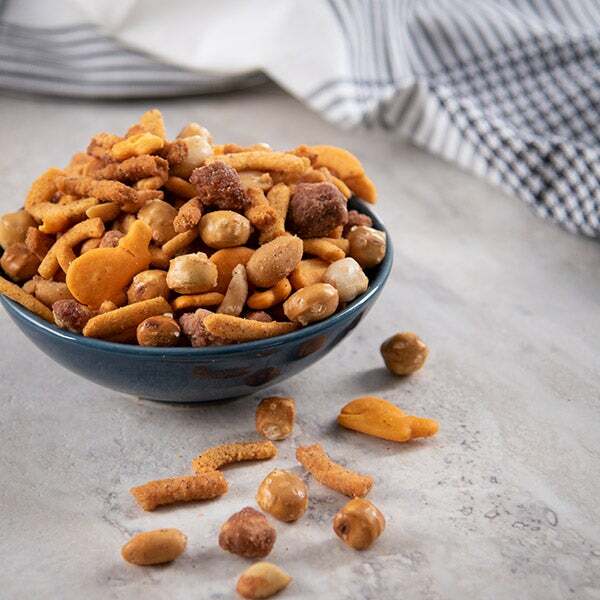 - A mingle of cheese crackers, pretzels, and premium nuts.